Jenny Pfanenstiel, Master Milliner and owner of Formé Millinery, is internationally recognized for her award winning craft of hand creating and sculpting hats using the highest quality and rare materials found all over the world. The art of Millinery is a technique that dates back centuries through molding straw and wool over wooden hat forms. 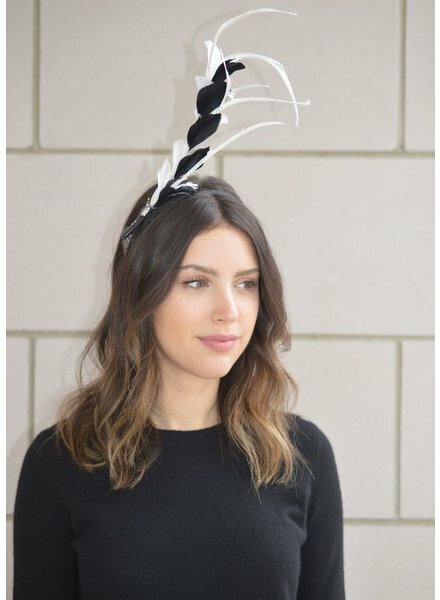 In addition to incorporating traditional millinery skills, Jenny has created a unique style of hats that are sculpted on her braid machine from the 1800’s. She sculpts the braid with her hands as it is sewing together creating one-of-a-kind sculptures for the head, something Jenny is known for throughout the world. After visiting Louisville, Kentucky for several years to create custom hats for the Derby, Jenny relocated her family and business and moved to the Southern state. She opened a permanent Hat Shop, Formé Millinery, located minutes from downtown Louisville in a converted industrial building. When a client comes into her hat shop for a custom hat, she provides an "experience". They try on different shapes and styles, and go through the colors of straw and wool to pick out the appropriate color. They talk about embellishments and what would work best. She measures their head so the hat will fit properly. Dedication to quality and detail are essential to creating the perfect hat for each client. “As a Milliner, my goal is to make a person feel sensational in my hats. I want them to look into the mirror and feel transformed, almost as if they are one with the creation of the hat.” Since moving to Louisville, she has had the honor of being named the "Official Milliner" of the Kentucky Derby Museum. You can find her permanent hat display at Churchill Downs, home of the Kentucky Derby. 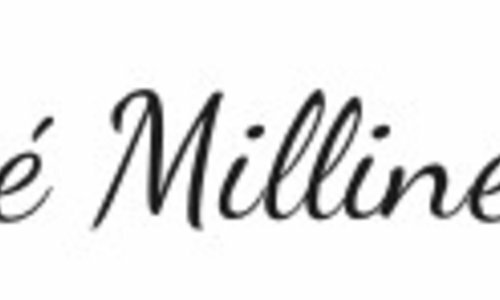 November 2015, Dover Publications published her 1st book, “The Making of a Milliner” about millinery and a “how to” with different hat making projects and is currently working on her 2nd book. Jenny has collaborated with an array of companies to create hats for their collections and productions. Some include: “Official Milliner” of the Kentucky Derby Museum, Co-branded Derby collections with Vineyard Vines, Covet Fashion Style App, American Express, Goodman Theatre, and the Joffrey Ballet. Jenny is also a hat designer for McCall Patterns and creates flat pattern hats through the Formé Millinery label. Jenny has created hats for some of the world’s most fashionable people, including Former First Lady Michelle Obama, Oprah Winfrey, Madonna, Neil Diamond, Barbara Corcoran from the TV show “Shark Tank”, Nikki Sixx from Mötley Crüe, and actress Regina Taylor. You can find her hat collections in specialty boutiques around the world and in magazines such as, Southwest In-Flight Magazine, Vogue, Tatler, Country Living, and Belle Armoire. She is also a Featured Milliner at Keeneland, and on CNN, NBC Sports, FOX News, and The Oprah Show. The making of hats is a craft she has come to admire, respect, and for which she has a true passion. When Jenny is not making hats in her Louisville Hat Shop, you can find her teaching hat making workshops all over the world, with the desire to continue a tradition that is by no means forgotten.